“The DV CHI might be silver plated but Jody Espina struck gold with this one. It has such clarity in sound it fills up the room in HD quality. The DV CHI is history in the making. I don’t know how Jody can continue to make such outstanding mouthpieces. Each mouthpiece is wonderful. The DV is so cutting edge you can really scream on it. The DV NY has such a mellow tone and sounds beautiful on a ballad. Then you have the DV CHI which is a cross of the two so get the best of both worlds. Dudley Owens was born in 1979 and fell in love with jazz at an early age. The youngest sibling of four he was born into a musical family. He fell in love with the saxophone when he saw Branford Marsalis playing on a television show. At the age of 10 he finally got his chance to play the saxophone. Excelling over his peers he was chosen to perform in numerous solo competitions. Dudley fell in love with jazz in 7th grade when his father bought him a Charlie Parker album. By the time Dudley reached high school he was awarded best soloist at numerous competitions. He was also awarded 4th place in the International Saxophone Competiton. He was awarded a full scholarship to the University of North Florida in Jacksonville FL. under the direction of Bunky Green. During his years at North Florida he played lead alto in Jazz Ensemble 1. Dudley had the privilege of performing or recording with the likes of Bunky Green, Jon Faddis, Slide Hampton, Antonio Hart, Donald Harrison, Bobby Watson, Conrad Herwig, Terrell Stafford, Robin Eubanks, Marvin Stamm, Orbert Davis, Ed. Peterson, Willie Pickens, Smokie Norful, Steve Turre, The Dells, Tim Warfield, Mark Gross, Eric Marienthal, James Carter, Ernie Adams, and The Chicago Jazz Ensemble. Dudley has studied with some of the most notable musicians. Ronald Carter, Ari Brown, Dr. Andy Goodrich, Steve Duke, Bunky Green, Charles McPherson, Jon Faddis, Orbert Davis, Donald Harrison, and James Carter. Dudley has been seen at many jazz festivals including JVC jazz fest, Chicago Jazz Fest, Jacksonville Jazz Fest, Savana Georgia jazz fest, IAJE and many more. Dudley can also be seen performing at Andy’s jazz club in Chicago, Jazz Showcase, Green Mill, The Cutting Room, Jazz Kitchen. With his upcoming debut release of Just The Beginning it is a blend of Jazz, Funk, and Soulful R&B. 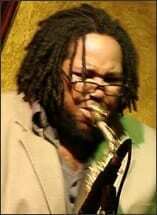 Dudley is also an endorsee of Orlando Custom Saxophones.